Being a self-diagnosed Apple addict, a contributing member of the #SMEM community, as well as a member of IAEM’s new Emerging Technology Caucus, I can’t help but love gadgets. 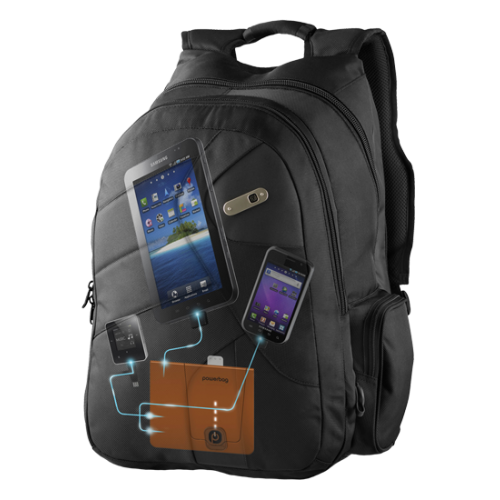 I’ve compiled a list of some of the coolest disaster preparedness gadgets, enjoy! Ever had your car battery die and then you have to wait either for some kind soul to offer you a jump or wait 3 hours for roadside assistance? You can avoid that entire fiasco and waste of time with the Cobra. It will jumpstart your car, has both D/C and A/C outlets, a USB terminal for charging mobile devices, a super bright LED light, and an air compressor for filling your car’s tires or an air mattress. A keyring, fire starter, and whistle for less than nine bucks? Sound pretty decent. Especially since it’s a magnesium fire starter that can create a spark that’s 3,000 degrees! I had a friend test a magnesium fire starter at his house during the summer and almost burned his backyard down. It’s really, really hot. You were warned! This little guy is a favorite of mine. I gave them out for Christmas gifts last year. At $6, this flashlight is easily the brightest tiny flashlight around. Once you realize that the flashlight itself is only as big as the clip connecting it to your keychain, you’ll be amazed at how much light this little LED puts off. You definitely don’t want to shine this in your eyes by accident. At under $100, this portable solar panel is rugged enough for the outdoors but powerful enough to charge cell phones, GPS units, satellite phones, MP3 players, iPads, etc. It even has grommets for hanging the solar panel up on a tent or tree. While solar panels are usually only for the most serious outdoors people, at less than $100, this solar panel is relatively light on the budget. The beastliest Leatherman multi-tool for your money has got to be the Skeletool by Leatherman. Not only does it have the signature Leatherman pliers, but it also has an inverted blade on the exterior (the original Leatherman blade had a habit of trying to return to its closed position). For $40, it’s probably worth it to have one in your car and at home. The Midland XT511 radio provides you with seven GMRS/FRS, seven FRS (Family Radio Service), and seven GMRS (General Mobile Radio Service) channels, for a total of 22 UHF channels. Additionally, the XT511 comes with 121 privacy codes to lessen interference or eavesdropping, which in effect gives you 3144 channel options. The dynamo crank allows recharging of batteries without access to electricity and the radio even has NOAA Weather Alert to automatically alert you to any severe weather/hazard information near your area, 24/7. Additionally, a Dual Watch feature lets you monitor two channels at once, so you can keep abreast of any developements in an emergency situation while maintaining communication. The XT511 offers several powering options. You can power with four standard AA batteries, or use the rechargeable battery pack. An AC adapter for wall-charging and a DC adapter for charging in your vehicle’s “cigarette lighter” outlet are both provided. Better yet, a Dynamo crank is provided, for recharging its batteries without access to electricity. A USB port lets you charge your cell phone directly from the radio using crank power (or of course, outlet power when available). For $60, this product is pretty tempting for emergency preparedness gadget addicts. This little guy can get you out of trouble quickly. Whether it means slicing through a seatbelt like a warm knife through butter or breaking a car window with virtually no force, the ResQme window punch is pretty neat. It’s small enough to carry on a keychain or in a glove compartment and it just might make the difference between getting out of your car alive. Maybe you like the idea of a solar charger without the need to carry a portable solar panel around (especially one that costs a hundred skoots). Then this device might be perfect for you. It has a USB port for charging your portable devices (as well as an onboard battery) and even a reading light LED. Thank you much for sharing great information! Really like this. Would you have a list of places to get more items like this?